An off shoulder dress with beaded bodice and bust looks exceptionally enthralling especially with the contrasting color sash at the midriff. The sash is in an inverted v shape. 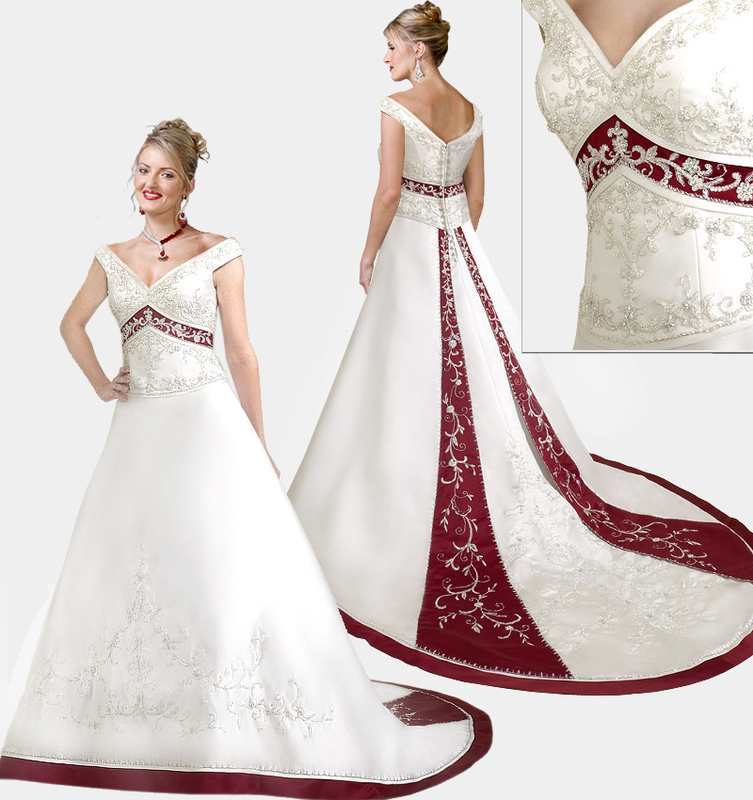 The bottom of the dress is embroidered and the hems have a red band too. 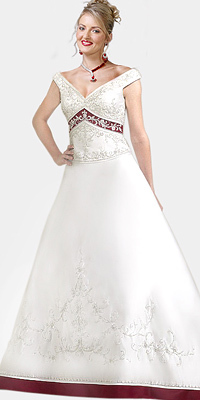 The back of the dress has a long red sash till the end in two stripes.